Hey, hey, welcome to the party. Let’s just get right to it, k? Lynda of Lakeland shares this awesome Rosemary Chicken recipe. I can almost smell it through the screen… yummmm! And Eleni at SewHappiness shares some Mother’s Day ideas! If you don’t have any yet, there’s still time! Check out her pinterest boards for some awesome ideas! Party time! You know, you know: No commercial sites and family friendly content only please. GO! Thank you for hosting this! I have found some great tips already! And just got started looking! 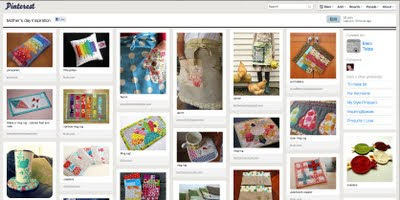 Thank you for featuring my inspiration board on Mother’s Day gifts:) I’m so flattered!! !